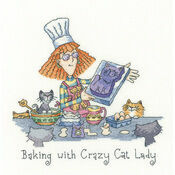 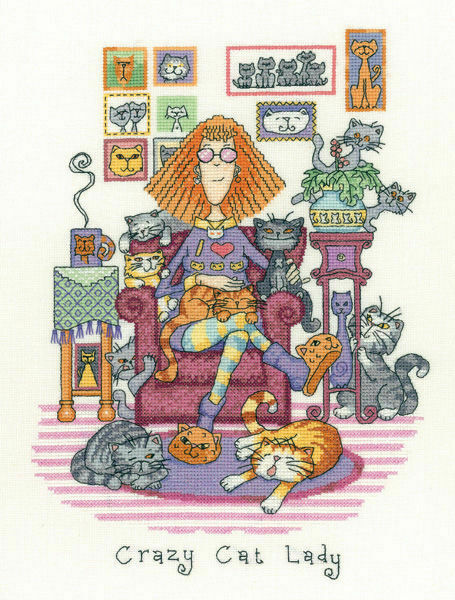 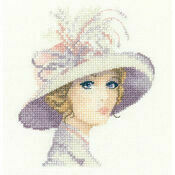 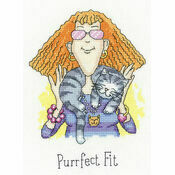 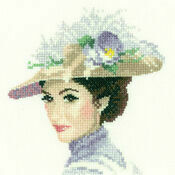 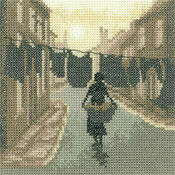 The archetypical crazy cat lady; finally captured in all her singularly obsessive glory in a hilarious yet awesomely designed cross stitch kit from Heritage Crafts. 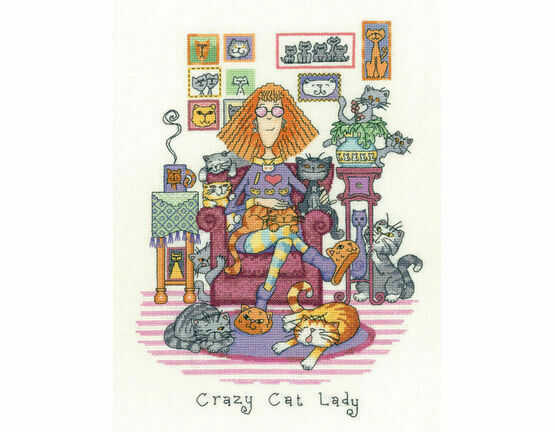 Look carefully and you’ll notice everything from the vase to the slippers has an unmistakably whiskered face on it – a very thorough design that would be a great gift for any crazy cat lady with a feline adoration you can’t help but indulge. 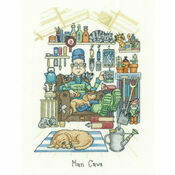 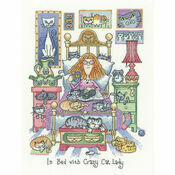 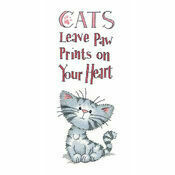 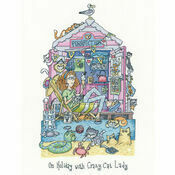 Designed by Peter Underhill for his Cats Rule collection.